Army Surgeon General Lt. Gen. Nadja West spoke at the 2016 Fort Irwin U.S. Army Medical Department Activity Ball, April 9. 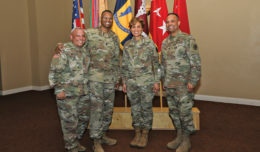 The Army’s first female African-American lieutenant general, 44th Army Surgeon General and the highest-ranking woman to graduate from the United States Military Academy toured facilities, met staff members, spoke with patients and consulted with leadership of Weed Army Community Hospital and the National Training Center, April 7-9. 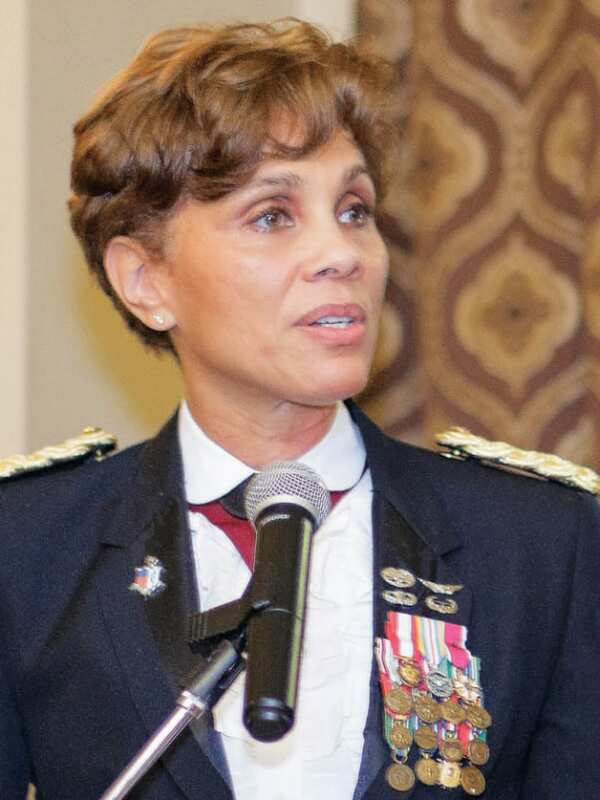 Dual-hatted as the commander of U.S. Army Medical Command, Lt. Gen. Nadja West oversees more than 48 medical treatment facilities providing care to nearly four million active duty members of all services, retirees and their family members. She is also responsible for development, policy direction, organization and overall management of an integrated Army-wide health service system and is the medical materiel developer for the Army. 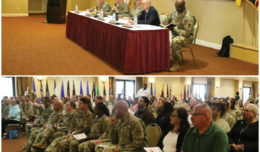 West regularly advises the secretary of the Army and Army chief of staff in relation to all health care matters in the Army, in addition to overseeing development, organization, policy direction, and other matters relative to the Army-wide health care systems. 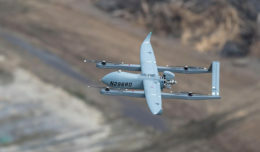 While visiting Fort Irwin, West conducted a town hall open to hospital staff and community stakeholders, toured WACH facilities, spoke with patients, met with key leaders at both the WACH and NTC, surveyed the new hospital construction site from the air, and observed a medical evacuation exercise in the NTC training area. “Seeing Soldiers putting their knowledge, fitness and ingenuity into action, watching them build confidence through experience and being challenged by realistic training scenarios – that’s what I want to see first-hand,” West said. The goal of the training scenario – a petrol generator malfunctions, explodes and causes eight immediate heavy casualties requiring a variety of treatments and triage management – was to test readiness as well as hone emergency medical skills among the participating 3rd Armored Brigade Combat Team, 1st Armored Division servicemembers. Before departing Fort Irwin, West served as keynote speaker and special guest at the 2016 Fort Irwin U.S. Army Medical Department Activity Ball. Addressing more than 200 event attendees, West outlined her goals for MEDDAC. West continued: “The health, resiliency and well-being of servicemembers in our care – as well as the family members who support them – is a sacred trust and I am committed to ensuring proper staffing and support to accomplish it here at Fort Irwin and throughout my command.